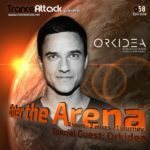 Welcome to episode 054 of our monthly radio-show “Enter The Arena” – aired on Trance-Energy Radio! 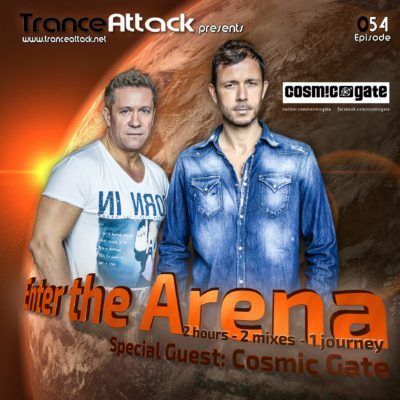 For Enter The Arena 054 we welcome the perfect union of musical minds… Cosmic Gate! The brothers-in-sound Nic Chagall and Bossi are Germany’s most consistently successful electronic music duo. Through their atomic on-stage synergy, Nic & Bossi have created countless unforgettable dance floor nights. Driven by their hugely received albums, club-busting singles (incl. “Not Enough Time”, “Body of Conflict” and “Over The Rainbow”) and scene-defining classics “Be Your Sound”, “Fire Wire” and “Exploration of Space”, their place in EDM’s hall of fame has long since been secured. Under their label “Wake Your Mind” Cosmic Gate have established their own radio show and label spreading their belief in border-free electronic music to fans! Expect a wonderful journey into the world from Nic & Bossi! But as always the 1st hour has been mixed by one of our residents… this time you can enjoy a fresh mix by Tamer Hossam. Expect great music by A & Z​, Ben Gold & Gareth Emery​, Suncatcher, Arty & Andrew Bayer, Grum and more! Tagged Cosmic Gate, Egypt Trance Family, Enter The Arena, T&M, Tamer Hossam, Trance-Energy Radio.